Notes: Considering the political craziness that is currently going on in my native land, I thought it not a bad idea to look back at some of the writings of the Founding Fathers, especially concerning the philosophies of such. I've read some of this book before, and I'm obviously aware of its importance to American history, but this will be the first time I've read the whole thing beginning to end. Mini review: An interesting read, much of its focus upon why America should be independent from Britain. Much of it made perfect sense, of course, but there were a few paragraphs concerning the nature of government which I don't necessarily agree with, at least no fully. 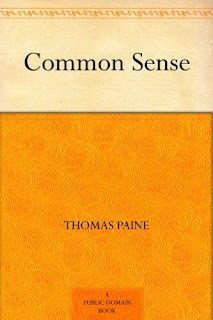 For instance, Paine refers to government of any type as evil, though a necessary evil, one that should be limited. While I understand and agree with his notions of limiting government, I disagree that government in and of itself is an evil. Government is a tool, and to some extent a convenience, and just like any other tool, it can be used for good or evil despite its particulars. 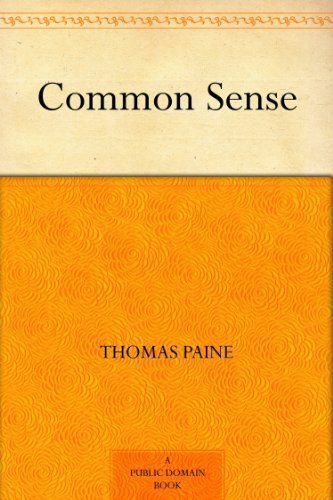 But Paine was living in a far different world than the one we face today, so our variance in opinions is more than understandable. Still, this would be a good book for many Americans to read. 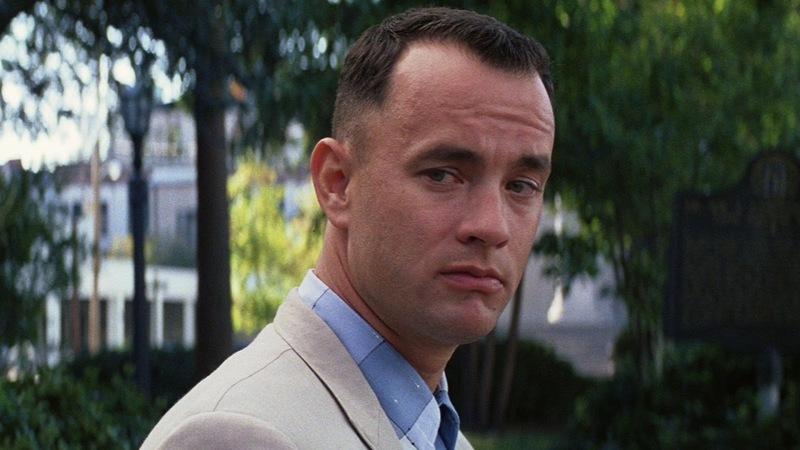 At Nerdarchy.com: Run, Forrest, Run! This week over at Nerdarchy.com, I turn Forrest Gump into a Dungeons & Dragons character. Really. Check it out. Notes: This was one of those spur-of-the-moment purchases. 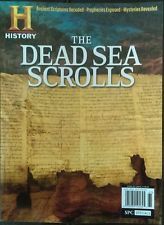 I've been meaning for years to read more about the Dead Sea Scrolls, though I know a little, and this seemed like the right publication to get me started. I'm not expecting a lot of depth here, but that's okay. At least this can be a jumping off point. Mini review: As expected, much of the information here was fairly general, but I still learned a fair amount concerning specifics, especially people and places and to some extent, dates. If I decide to pursue further study of the Scrolls, I feel this was a decent beginning, providing different ways of looking at the Scrolls and different issues surrounding them. Notes: In desperate need of some fiction, especially something fun, I turn to an old favorite, Ed McBain and his 87the Precinct. Unfortunately, this was the last of these novels. At least I've got plenty more of them to read. 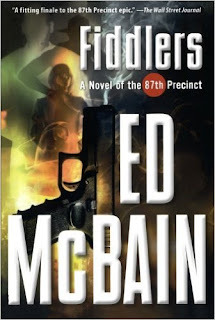 Mini review: For more reasons than one, it's too bad this was the last 87th Precinct novel. The book's main story ties up well, but there were a few personal threads pertaining to individual detectives which likely would have continued into a next novel. As for this book's stories, I have to mark this as one of my favorite 87th Precinct books, easy in the top 5. Five murders, none of them seemingly related other than the same Glock is used for each of them. The 87th crew has to fish through the facts, rumors and outright lies to eventually learn the truth. One of the best from McBain. 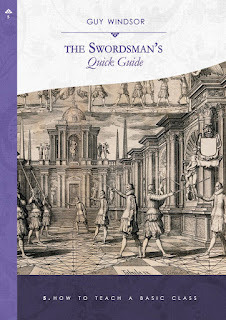 Notes: Yes, it's another book by modern swordsman Guy Windsor. This one pulled me in because I've considered starting a small sword fighting group near where I live because it gets old having to drive an hour or more to training sessions. I'll admit I'm not qualified to teach such a class ... for one thing I'm not that good a swordsman ... but it might be interesting and fun to get together with some other amateurs. Maybe this book will offer some ideas. 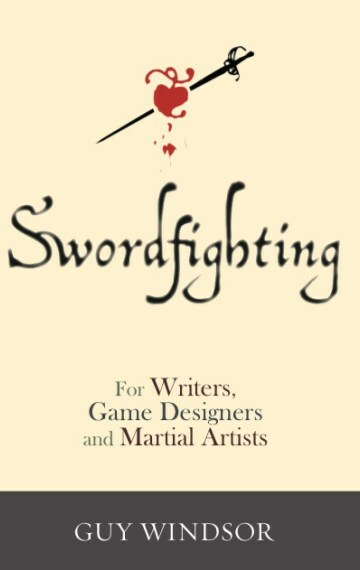 Mini review: Yes, I definitely gained a few ideas from this about teaching a swording class. The information is somewhat general in that it could be used for just about any martial art, but Windsor keeps most of the focus upon the longsword, rapier or dagger. He talks about creating a syllabus, dealing with different types of students (from beginners to trouble makers, etc. ), and he goes over basics of safety and his own approach to teaching. Glad I read this one. Interested in learning the longsword or rapier? If so, and you're not sure how to get started, check out my article this week over at Nerdarchy.com. 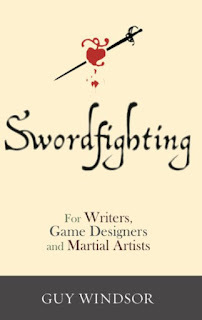 Notes: Yep, it's another book from swordsman Guy Windsor, but this one should be especially interesting as part of the focus is for writers. I'm looking forward to it. Mini review: This might be my favorite of Windsor's books, though the title is a little misleading, in my opinion. There are chapters on writers and game designers, but they are a relatively small part of the book. The first half of this book mostly talks about the ethics and philosophy behind swordplay, and this I found quite interesting. The last fourth of the book features some of Windsor's ideas behind training regimens, and this I found quite boring, probably because much of it was material I had read from some of his other writings. Still, like I said, this is probably my favorite of his books, at least of those I've read so far. 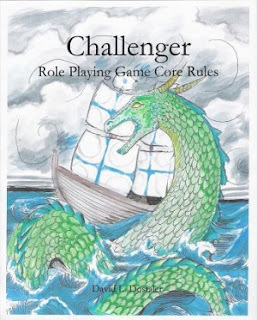 This week my Nerdarchy.com article takes a look at Challenger, a free tabletop role-playing game. For anybody who played the Spaceward Ho! computer game from the early 1990s, or who now plays the Android version, you might want to check out my latest article over at Nerdarchy.com. Notes: Considering I'm doing a little work in the world of tabletop role playing games of late, I thought it might be a good idea to look into some games with which I'm not familiar in order to study the writing and how they are designed. To that end, I discovered this free fantasy RPG and thought I'd give it a try. Mini review: Not too shabby. Somewhat of a simplified D20 game, sort of. I'm not a big fan of the game mechanics, which are too simplistic for my tastes, but I did pick up a few ideas for running games and I did think this would be a good book for those just starting out in tabletop RPGs, especially new game masters, as there is plenty of basic but solid advice.